Spacious gallery on two floors. 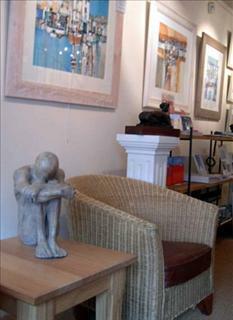 Mixed contemporary art from both Westcountry painters and sculptors. Friendly service and a member of the Own Art scheme.